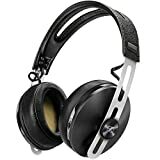 A fantastic pair of headphones, perfect for movies or gaming. High price tag but incredible sound. 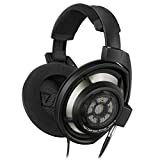 Ultrasone is very popular for their high quality closed back headphones and one of their newest product launches is the Ultrasone PRO 900 S-Logic. This model is also the most expensive from their Pro lineup. The Pro 900 is equipped with the all new and Ultrasone’s very own S-Logic Plus system. It is also very light with an adjustable and foldable headband, making it very easy to use even when you are outdoors. It also sounds very powerful and has a good bass setting. This headphone offers a professional and great sounding performance, and is equipped with a very sophisticated technology which results in natural and lifelike sound impressions. The Pro 900 is the very first headphone from the range of Ultrasone Pro products that is fitted with the S Logic Plus technology. This state of the art technology combines the micro acoustic reinforcement with precision damping, resulting into a more vivid, fine tuning and neutral sound perception. It offers you with the highest level of acoustics with its titanium coated sound transducer. Another innovative technology used with the Ultrasone headphone is the Ultra-Low Emission or ULE technology which is a part of S-Logic Natural Surround System. That mentioned system offers a number of significant benefits to the users because it reduces the radiations by 98% as compared to most of the headphones that you can find in the market these days. With Pro 900, you can listen to music all day without worrying that it might be slowly destroying your sense of hearing because Ultrasone ‘s S-Logic ensure a safer listening experience. A fairly comfortable headphone which offers a high quality, state of the art and safe audio experience, just make sure that you are ready to pay the price because it costs quite a lot.